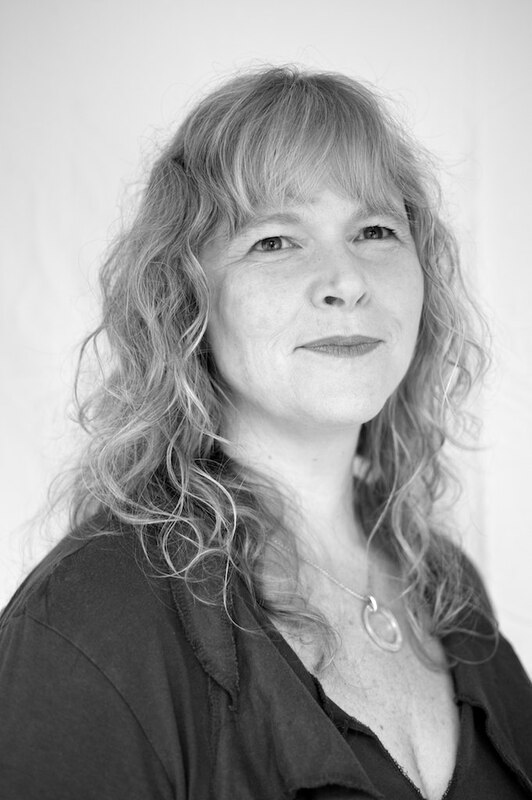 Ganga Karen Ashworth is passionate about the voice, and she uses innovative voice therapy to nurture and inspire people to release blocked emotions and sing their truth. Her calming, present and wise energy is absolutely gorgeous to absorb. She spoke with me about her journey from a conventional upbringing in Sydney to the unconventional, spiritual and inspiring life that she leads singing her heart out to heal in the Southern Highlands in New South Wales and beyond. She lives with her husband, Anthony Ashworth, in their energetically charged home in Moss Vale. Jess: Can you tell me a little bit about yourself, where you grew up, your ‘origin story’ so to speak, and then how you came to be where you are today? Jess: Well, Leos are meant to be very proud! Ganga: Yes, outwardly there was that bravado, which really serves me in performance and in being able to present myself, but I’m actually a Cancer cusp, I was born on 24 July, and Cancer Moon, so there’s a lot of that nurturing and sensitive aspect to me. So the world of performing, you see what it looks like on all of those TV shows, I guess with that sensitivity, if anybody criticised me, I’d be crushed. But I’ve always sung, it’s always been a part of who I am and who I know myself to be. I probably only got outed when I was about seven. I had a teacher at school who was an exchange teacher from the US, Miss Hough (pronounced “Huff”) was her name, and she sang with us a lot. One of the songs she taught us was Take Me Home Country Road by John Denver. I’d sung it in class and when the band played it at my Auntie’s wedding, I couldn’t help myself, I was up dancing in front of the stage and singing along with them. So my family got me to sing it a lot. I still remember when I had to hit that high note, everybody was wondering, “Will she hit that note?” and all of these people were coming in to watch and there was a universal sag of the shoulders in relief, “She got the high note!” So that’s when I came out as a singer. Jess: And did you always live in Sydney? Ganga: Yes, I lived most of my life in Sydney. We moved to the country for a while in a town called Manilla, which is half an hour northwest of Tamworth. I taught in Tamworth schools for a while and then came back to Sydney where I met Anthony. Jess: So you were ‘outed’ at age seven and what happened thereafter? Did your parents support you in your desire to sing? Or did it simmer for a while until later? Ganga: It certainly was always there. I remember doing dancing as a young girl, as well. I did ballet, I loved ballet until I realised I wasn’t really built like a ballerina. Even though I had the timing and the creativity, I didn’t really look like a ballerina. So that was something that they very much encouraged. In terms of singing, it was really about what was happening at school. I had piano lessons, that was another thing that I was passionate about, so Mum and Dad really encouraged that. It wasn’t until I was in high school that I was really able to push for singing lessons. It really came about from auditioning for the school musical. One of my friends had a singing teacher, and she had had lessons for a long time, and I got one of the lead roles. She got a lead, but it was a smaller part. And I thought maybe I could sing, maybe if I had lessons it could help me. And so again my parents really encouraged that and I ended up going to the same teacher that my friend had. The teacher was really good. She was a very nurturing and motherly figure, even though she had an operatic background and she had been to the same teacher as Dame Kiri Te Kanawa. She used to say, “You sound like a young Kiri!” [Laughs.] So that got me in! It was something that was encouraged, but only to a degree. “Yes, it’s lovely to be musical and creative, and we will pay for these lessons and exams, and foster all of that, but that’s something you do when you’re growing up. When you get out of school you will need a real job. So what are you going to do when you get out of school?” And this led me to teaching. I had that innate ability and my Mum was a teacher. So it made sense. I even went to vocational guidance and said this is what I’m interested in and never really took a stand that, “I really want to be a singer, and I want to do that as my career.” And I needed to make a living and be a singer, so how could I do that? My options were either music therapy, or music teaching. So I took to the music-teaching path. Jess: At what point in your career did you decide that you would shift tangent into voice therapy in particular? I was really passionate about transformation for my own growth and, being a wounded healer, finding answers to my own path, for my own journey. Jess: A very quintessential image! Jess: It’s a vulnerable thing to do. Ganga: It’s incredibly vulnerable. So much comes up, so much emotion in people in singing lessons, so it wasn’t just about singing. And I was really fascinated by that part and I realised that it was not so much the technique that was required, although there were parts of that which support the voice, but it was about what’s getting in the way. What are the beliefs? What are the emotions? What are the emotional charges that are blocking the voice? That’s what I really got fascinated by. Again, it was because of my own journey, and of wanting to nurture someone through to finding their true voice, rather than stripping it back and tearing it down, having power over someone, and that ‘learning by force’ approach. Jess: So really nurturing a person so they feel that they are in a safe and supportive space? Ganga: Yes, because safety is such a major issue, I knew it was for me. I understood how necessary it was. It comes with the territory with me. Jess: Did you undergo training in voice therapy or was it something that evolved from the teaching that you were doing? Did you fashion a trade for yourself? I used it when my daughter was a baby, it really taught me about sound healing. She had bad reflux and she would projectile vomit. She was obviously in pain, her face was bright red, and she was pulling up her legs. She would sleep for 20 to 40 minutes at a time and then wake up screaming. So I was going a bit spare [laughs]. It’s hard being a new mum anyway, and I knew that she was suffering but I didn’t know how to fix that. I tried all sorts of things; there were naturopaths that gave me calming teas to chill me out, there were acupuncturists that did acupuncture and acupressure on my daughter and me. But what I found that worked immediately with her every day was using my voice. I’d read this book about sound healing called Sacred Sounds by Ted Andrews, and it had a list of the sounds for different parts of the body. The sound for the stomach and digestion was “orr”, so I held her tummy and I went [sings] “orr” and she would calm down and stop crying. Then I would draw breath and she would start screaming again [laughs]. Jess: You just had to keep doing it! Ganga: I had to learn to draw breath really quickly so I could keep the sound going. It was something that really seemed to give her some relief. I don’t know, still to this day, if it was the sound healing or the fact she was hearing my voice, or the actual vibration of the sound itself. But that’s what started to turn my head towards the importance of the voice. I thought, “Well, maybe there’s something in there.” And having birthed her the way I did… I had a yoga teacher who worked with me one-on-one; she was in the Desikachar tradition, which is sometimes called yoga therapy, which was such a blessing. She taught me a mantra and I hadn’t been exposed to sacred sounds in that way before. So Acacia was born into that. The hospital staff called our room ‘the ashram’ because we were “om-ing” and I was sounding, and Anthony was standing behind me, holding me. So we had that sacred vibration around her, so she has really been my teacher on that level. Jess: That would have been quite a beautiful birthing experience. Ganga: It was beautiful and empowering, no drugs, no intervention, not even any tearing. It was a very conscious birth. That’s another aspect of something that I love to bring, helping women use their voice in birthing. Not only is it important for women to literally ‘have a voice’ in their experience of giving birth, it’s also incredibly empowering to be able to relieve your own pain and to create a sense of calm, relaxation and focus in such an intense and life-changing experience as bringing a new life into the world – and this is all possible using your voice. I supported one woman to use her voice in this way and she was able to birth her 5kg baby completely naturally with no drugs or intervention. That’s a big baby! Jess: I wish I had known about voice therapy before I had my children [laughs]! I screamed my way throughout the entire birth of my first child. Ganga: It’s an intense experience, isn’t it? Jess: The second time around I had done Calm Birth and knew what to do with my breathing, I knew I had to move around with dance-type moves, and all of that really helped enormously the second time around. It sounds like there’s been a slow evolution for you. You went from being on a more conventional path and then you gradually discovered and opened up to a more unconventional way of being, and embracing spirit and spirituality in your work and also in your family life, more clearly. Was it actually a gradual thing or was there an epiphany where you realised that life makes more sense if you live it in this way? Jess: So you had guides telling you that? 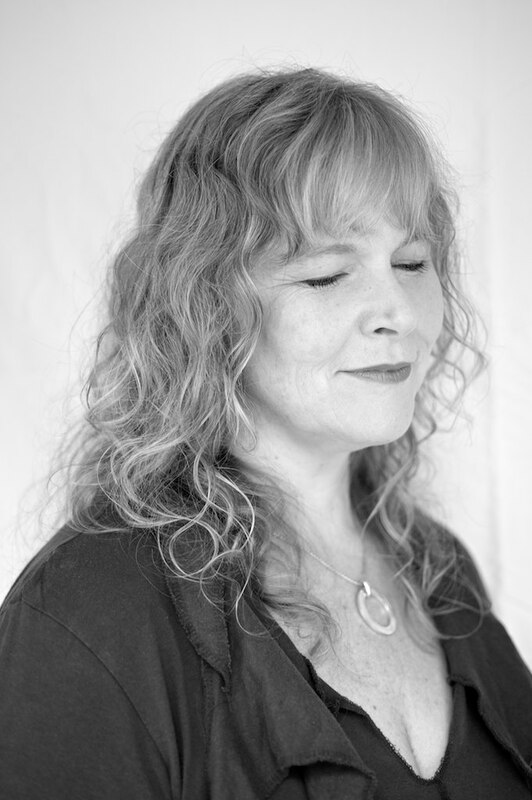 Ganga: Yes, I’ve had really clear guidance since my late-20s when I connected with spirit and with guides, when I was beginning that journey. So I used to have conversations with my guide. My first guide has moved on, I’ve had differing relationships along the way. And again that was through vibration as well, I would feel my left palm vibrating and I knew that that was her. I had to test that along the way, I’ve needed proof that it wasn’t just me making it up. The expression, even the grammar, whether I heard them or had written them down, would come with words that I didn’t know, so that helped to give me a little bit of proof. So I had to go investigating. When you get a sentence like, “Take sing therapy to the corporate world,” well, what does that mean? What is sing therapy? So that pointed me in the direction of bringing the work from the kinaesthetic process into using that with the voice. So epiphanies like that, but it wasn’t really an epiphany, it was more of a guided statement. Lots of guidance has come through writing, that’s been a big pathway for me. I did Julia Cameron’s The Artist’s Way and so I wrote morning pages and the things that were coming up. There were songs and poems that would just be telling me what I needed to do. Again that was a really gradual process where the information unfolded through writing and through having these messages come and having to investigate them. But still having this need for safety, which kept me in that teaching role. Even though I resigned from working in schools as such, I went back in and did what is known as peripatetic teaching, so teaching one-on-one with students in the class. I went on doing that even when I’d had my daughter. I didn’t want to be just Mummy, I wanted to have some mental stimulation and that’s what brought us to the Southern Highlands. I thought if I’m going to teach in schools, then the values that would be aligned to me would be at a Steiner school. So I came and taught here, but even then it was still teaching in a school. And I realised that what I needed to do, so I could fill my soul up, was the things that I loved. With being a music teacher, I had to be a generalist, work with all sorts of aspects of music and instruments, but what I really loved was the voice. I was absolutely passionate about it. The more I realised that the more I got to be clear and make those boundaries. I actually only want to do this piece; this is the piece that I’m absolutely passionate about. But it took me time to be able to leave teaching, leave that safety of having a “job” job, and leap into doing this. Jess: This passion for the voice, do you have any sense of where that’s come from? Clearly there was an innate capacity from about the age of seven, but do you have any understanding as to why the voice has been so central in your life? Ganga: Yes, I’ve done a lot of work around this. It’s interesting, the question you asked before about epiphanies, I’ve spoken about a number of things because there hasn’t been a big bang, there’s been lots of smaller things. A lot of them were related to my birth and how I came into this world, that being my sacred wound. It’s understandable that I’m passionate about making birth conscious and helping women to do that in a way that is empowered. Jess: So how were you birthed? Ganga: I don’t think that my Mum had a voice, I was born in the late 1960s and you go to hospital and you do what they tell you. I don’t know how much information she had about birth, but Mum had some difficulties in my labour and they said something about my head not turning. I don’t really understand the logistics, but they decided that they would give her a general anaesthetic and I was a forceps delivery. I’ve done kinesiology and repatterning around this stuff. The force required to birth with forceps is enough to decapitate a full-grown man. The trauma and injury to my little head must have been awful. But I was born, I’m here, and am very grateful for that. And medical technology can really help in those sorts of situations. Obviously there is some kind of bruising, and Mum and I weren’t allowed to see each other for the first 48 hours and so there is that early bonding and abandonment stuff. Looking at how my daughter was born and how my Mum experienced me, I think I was a really refluxy baby as well, and no one really knew what that was. There was also damage to my hip when I was born and that was undiagnosed, so there was a lot of pain. And I screamed a lot. So I developed this lung capacity [laughs] and this passion and the need to be heard. Jess: And you felt there was a need to be heard for your mother as well, so there is some kind of sensitivity around that issue, particularly among women. Do you find that you work mostly with women clients? Ganga: Yes. I certainly have some male clients and they tend to be very aware, on a journey of some description. The voice and emotions are not separate and we see that in a performance. The ones that really move us are the ones that are able to be in touch with their emotions … they can convey something that we can connect with. Ganga: Absolutely! They’re okay about delving into their inner emotional realms. Because that’s what it takes in the way that I work, in my belief, to connect with the voice. It’s my belief that the voice and emotions are not separate and we see that in a performance. The ones that really move us are the ones that are able to be in touch with their emotions. And they can convey something that we can connect with, it doesn’t necessarily have to come through the actual sound, it can be that embodied energy. Jess: Can you tell me a little bit more about your voice work? You’re dealing with people who come to you for a reason, I suspect, the reason being that they want to free their voice in some way. Can you tell me some anecdotal stories about some memorable clients, things that come to mind that help drive your passion? Ganga: Wow, so many! I’m very honoured in having that over and over again, the experience of seeing some real change happening. One of the major things that people come with is feeling that they can’t sing in tune or that they have some sort of blockage and can’t express themselves clearly, particularly women who feel they can’t speak their truth. On that one I’ll speak about something that happened quite recently, which led to an epiphany for me. 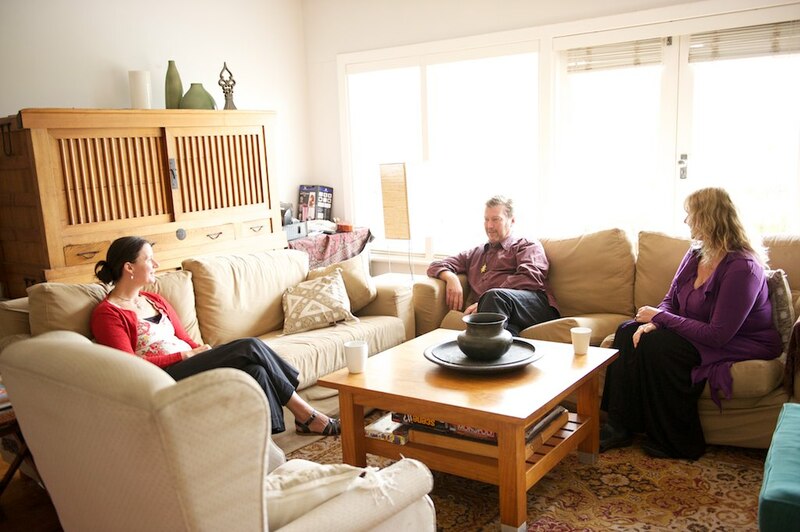 One particular client was working with her challenge in speaking her truth and noticing that in relationships with her partner and people that she is really close to. She had this belief that, “If I speak my truth, it will hurt others.” So of course you will do anything to go around the subject gently, be as diplomatic as possible, to the point where you don’t actually say anything. You’re so busy making it okay for the other person. And I had three clients on that one day that had something to do with what was coming up for them, it was believing that they’re not enough. So when you get that much repetition, the same issue in that many clients, it’s, “Get the message, Ganga, there’s something you need to look at.” And that’s something I’m well aware of, it’s a belief that I’ve had for a long time that I’m not enough, not good enough. I’ve worked enough on it to the point where I’ve given it a name, it’s “Notenoughacus”, like Snuffleupacus, you know, with Big Bird on Sesame Street [laughs]. The very next day I had a big conflict with Anthony where I believed I was speaking my truth and I believed that I was speaking calmly. But his experience was that I’d just turned on him. So I sat with that and said, “Show me what it is that I need to realise, what is it that I need to see here?” I realised what was driving me in the communication. I believe that when I speak my truth that people will get angry with me, so when I was speaking to him, even though I believed I was speaking my truth, he got the emotional charge of, “I’m expecting you to be angry,” so I’m already speaking with that barb. Being able to see that and to use the processes that I use with the voice to release that feeling from my body… So it’s, “Where is that feeling in my body? What does it need?” And then giving it a vibration that will give it some comfort and release; that’s the essence of how I work. And I have this wonderful, aware man in my life. I know he’s explained to you that he uses his bath as a spiritual practice. He got out of his bath one day and said, “I got this message for you, I was in the bath and having my inner experience and there was this thing all about you!” He said that I needed to have some space alone, time to just be and have my own experience. He realised it had to be something that I want. So he shared this with me and he thought it would be really great for me to have some time to myself in nature because it recharges me and I don’t get out there often. Jess: It’s really hard to get out there sometimes. Ganga: It is when you’re dealing with the realities of life. It actually took a lot for us to facilitate it, but he said, “I’ll support you and I’ll take care of the children.” He took me out to Blue Pool out at Carrington Falls [in the Southern Highlands, New South Wales]. The entrance was closed off for whatever reason so I wasn’t sure if we were allowed to go in there. But it ended up being an incredible blessing because people didn’t go in there. It was January and it was the full moon. So I went and had this beautiful day’s retreat and really got to have an experience of my soul. I’ve heard people speak about that; an author called Sera Beak talks about embodying your soul. When you’re speaking your truth and you’re really present in your body, it’s really embodied and connected to your soul, that is recognisable even in just the words that you say and how it is received. So when you’re sitting opposite someone and they hear you, they can hear that what you’re saying is true, “I feel that, I know that.” And it’s not an intellectual engagement, it’s just a bodily recognition. So where is my soul? Does it live in my body, is that possible? What is it that is having this experience of talking about “I” and “I am this” or “I have this” or “I experience this”? What’s the “I” experiencing those things and noticing that separateness from this body about? Is it a meat suit, a space suit that we put over what actually ignites us and gives us life force? So what is that? I’ve connected with spirit externally and have received guidance, so it feels like it’s connected to me, but it feels like it’s another being, it’s another essence. So, what’s mine? What’s my stuff? And I had that experience, could it live in my body? Yes! I had that experience of my soul being present in me and I realise how disconnected I can be from that in daily life. But having experienced that was prompted by a couple of things that I do with others: one with birthing and creating a soul song, so going to meet the soul of the baby and asking it for its song, and also the process that’s in my book, Singing the Silver Circle, that the main character has to go and find her Nerthgan, which is her power song. You can hear my voice is changing as I’m speaking about it, it’s really potent for me, and I haven’t actually spoken about it to anyone. So I wanted to find my soul embodied in my body and I wanted to find a song that expresses that. That was something that came to me on that day. Jess: So you came to that realisation on the day you were in nature? Ganga: Yes, because I had the space to ask those questions. We’re privileged living in the west where our needs are taken care of. I had that extra level of it when Anthony took care of everything. So I could just sit and be and listen and have this gift. Anthony gave me his iPod and there was some drumming that he uses in his shamanic healing that we recorded on Echoes of the Goddess, which we had used initially to support women in birthing. So that track is just the drumming part, he said, “I just have a feeling that I need to give this to you.” And I put that on and that drumming put me into the space of receiving that soul song. So for me the journey of my voice is what has connected me to my soul and expressing that. It still wells up in me. It’s such a blessing. Jess: I was just thinking earlier that you used the expression ‘wounded healer’, and the symbolism of the wounded healer is that we have a lifelong wound that is very difficult to close, so our gift emerges from that wound, and it sounds very much like that’s what happened to you and you’ve only very recently come to see that more clearly. Jess: Thanks very much for sharing that story with me, by the way. Ganga: That’s a pleasure. That was very recent, that was January this year. Knowing that my voice and my experience around it being a healing instrument, and being able to reveal things to us that need healing, you can be a conduit for the revelation as well. This kind of healing has been something that I’ve been exploring for about 14 years. There’s been lots of experiences like that along the way. And the wounded healer and the understanding of that around my birth came when I was pregnant with my daughter because I asked the question. I asked my Mum about my birth. There were things that I knew from the story that you grow up with, but there were things that I didn’t know, like the 48-hour separation and that was major. There’s been that exploration and being able to share from my own journey feels like its authentic. And inauthentic because it feels like I’ve made it up, it’s like I haven’t taken on someone else’s system that’s been proven to work, or it doesn’t have the scientific studies and data to back it up. But since I’ve been on this journey, I realise that there is a lot of scientific data if I go and research it, there’s a lot that’s been done, even recently, about the benefits of singing. Ganga: Yes, well recently I’ve started doing some training with the Arts Health Institute. It came out of the Clown Doctors idea of taking humour into aged care, so that’s where they take music into aged care. So this program is called “Sing Out Loud Together.” It’s taking children from a primary school and matching them with buddies in an aged care facility and they sing together and put on a performance. It’s being used in many ways to open hearts. There’s a lot of evidence that music is a way in for people with dementia and Alzheimer’s and those kinds of memory loss conditions. They will remember a lot of songs and poems from their past, particularly from the 17 to 35 years time in their life, it seems to be a place that they can connect with. So singing songs can really bring back their cognitive abilities, it’s quite extraordinary. Jess: That’s incredible. So on some deep sensory level it becomes embedded into our being. It never really goes? Ganga: No, it never really goes, it’s still can be accessed. There’s a lot of work that is proving what we’ve known for a long time, so while it feels out there, you can sing your way to health. It seems ridiculous but we’ve got the evidence now that it’s working, for myself and for others. I feel like I can speak about it authentically because it has been my experience and I do use it, I need to remember sometimes to use my own processes [laughs]. Musician heal thyself! Jess: Oftentimes when you’re a healer or a mother you’re so busy looking after everyone else, you’re focusing on everyone else, and you wake up one day feeling a bit “NQR – not quite right”! Ganga: NQR, I like that! That’s right, the focus is on everyone else. Jess: I saw online that you work for Quest for Life as well, is that still happening? Ganga: Yes, I’ve been there seven years now and Petrea King has always wanted to have singing as part of the program. And when she experienced my approach she thought, “Yes that’s what we need.” It’s about singing for health, approaching people that are terminally ill. I was there last week, Wednesday night; I come in the middle of the program. Petrea has organised that with much insight, “Where is their breakthrough point?” And it helps totally shift the energy. Speaking to people who are terminally ill, and there were three people in the room that had been told, “We don’t know how long you’ve got left”, but you wouldn’t know to look at them. Most of them believe that they were someone who couldn’t sing. When I say, “Were you the one where the choir teacher says you just mime the words?”, there’s always people in the room who have had that experience, and it shuts them down. It’s amazing how energised people look and feel after using their voices. 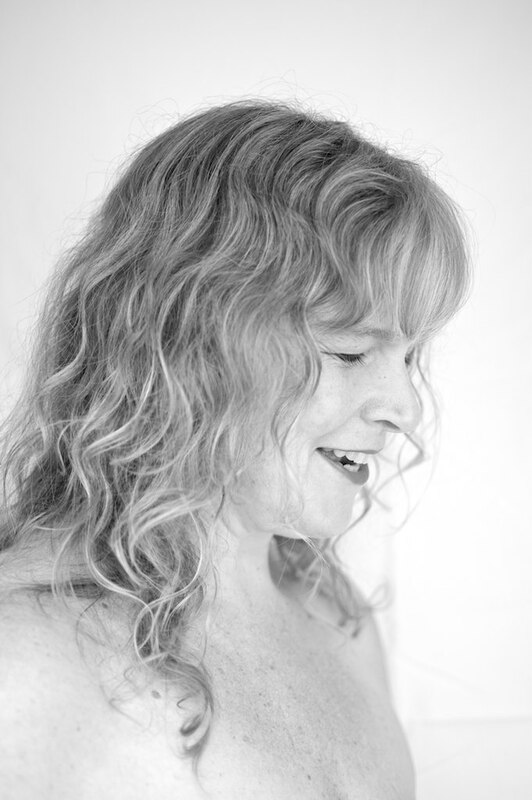 With some of the other programs, where people have had incredible trauma in their lives, you see people walking around and you wonder, “How can you actually be upright after all of the things that have happened to you?” To say to those people, “Sing and it will make you feel better” is ridiculous, but I know that it works. “Hmmm”, humming to myself right now just puts me back in touch with myself. Jess: So is that the kind of feedback that you get from most of your clients? There must be a pivotal point in most of your sessions, especially the early consults, where something really dramatically shifts in a person and they start to feel connected with their voice. Does that happen time and time again? Ganga: It does, and it’s quite different. There are different points for each person. Usually within the first three sessions there’s a breakthrough where there is a revelation or a memory that gets shifted or a perspective is transformed. Jess: I imagine that most people come and have several consultations with you but not all of them go on to become singers. What do they do once they’ve gone through that transformational process? Ganga: A lot of the time it’s really about having the confidence to express themselves in the world, publicly or in a group. Some will say, “I had to do this presentation in a course I’m training in and I was able to get up and in fact get the whole room to sing, teach them a song.” So that facilitation comes about a lot. For others it will be, “Now that I’ve got this, what will I do with it? Should I record my own music?” Now that technology has changed so much these days people can do that, they can create and record their own music and put it out there themselves, they don’t need the approval of a record company. Or a win on The Voice or The X Factor or Australian Idol, you just do it because you love it. Jess: Just thinking about voice in general terms, not just about the singing voice but the written voice as well, you’ve recently published a novel, Singing the Silver Circle. I’m about a third of the way through and I’m really enjoying it, it’s the point where Aria goes through the circle after her kids. Jess: [Laughs.] Yes, you’ve just got to go after your kids! So can you tell me about your writing and your experience of writing? Ganga: It’s funny that you should say that because it took a long time for my husband to grasp that. He asked, “Why would someone who can sing as beautifully as you do want to write a book?” And you’ve answered that, it’s another aspect of my expression, the written form of the word is as potent, if not more so. I’ve always loved writing and it’s been part of my inspiration and my path, my inner journey. It began as a how-to book about my approach to the voice and the guidance was, “No, this is a novel.” What’s that? I’ve never written a novel! How can I do that? I had done some courses, one locally here with a woman called Lucy Palmer. I did her creative writing course and that was helpful. And then there was that whole journey of creating characters and situations and what would motivate a character. I really was passionate about the fantasy genre, my favourite book ever was The Hobbit, and we have this entire wall of books about spirituality in some form. But so much of that genre is motivated by fear of death and that archetypal good versus evil battle and, in the Lord of the Rings cycle, it’s literal. I wanted to write something that’s not about death and dismemberment. Something about what would motivate a woman. And you hit on that; it would be her children, her family. And what would motivate her to change if she doesn’t even believe in this stuff? She has a very scientific mind, she doesn’t believe she can sing, she wouldn’t even consider singing in her everyday life. Why would she want to embrace any of this fanciful stuff? Jess: Books can write themselves, it sounds like that’s what happened with you. Jess: You’re not a sceptic. Ganga: No, Aria’s a lot more sceptical than me in that realm, I love magic, and I love ceremony and the fantastical. Please take me there! So it was quite a journey and I realise that I love to take things in through story, a bit like what you’re doing, you’re hearing people’s stories and what led them there. I have a pile of books beside my bedside; my husband calls it my ‘compost heap’. “Are you going to compost those and just take them in by osmosis, darling?” [Laughs.] A lot of what stops me from reading things like self-help books, where there is a process that comes up, is that you need to do that in order to do the next thing, but until I’ve got time to do that you can’t go on with the book, so it’s frustrating. So I prefer a story has those processes in it, so you can experience them in the moment through someone else’s experience. Jess: So are you planning to write more novels that all or are you letting it sit for a bit? Ganga: I think there is more in this character, in this genre, perhaps something like a trilogy, like there often is in the fantasy realm. There have been ideas, but not the impetus to write yet because I’m still sharing this, and developing the processes that you find in the book, and one of those processes is finding your Nerthgan, your soul song. So I want to do that. Jess: Do you have a soul song? Jess: Can you tell me about that soul song? Or is it something you’d like to keep private? Ganga: It’s the one that came to me the day I did the retreat out at Blue Pool. So that’s come this year. I haven’t sung it to anyone and I don’t know that I will yet, but it’s something that connects me into where I feel my soul lives in my body. So if I’m feeling anxious and stressed, my voice has been how I have managed that, my stress and anxiety, this just takes me straight there, and it’s like, “Oh, I’m home.” And that’s actually the first word in the song it’s [sings], “Home, home.” And there I am, I am home. Ganga: Yes, it drops me into my soul. Jess: Clearly you’re very comfortable using the word ‘soul’ to describe something, what would you say the soul is? Ganga: Wow, that’s a big question, I don’t purport to know. Ganga: I have considered that question, knowing that I was going to speak to you and that you may ask me something along those lines. I think I know it more by what it is not. Making a distinction between spirit and those things that are in spirit, and my connection with the divine that I call goddess, which means the feminine experience, and I’ve had experience of communication with it particularly with Quan Yin. She has been very accessible and present and has given really clear messages. It says in her mythology that you call her name and she will respond. And that she is waiting outside the Pearly Gates to facilitate the way through. That sort of communication with spirit and with guidance feels like it doesn’t come from me, it’s from something with a higher knowledge. That’s almost a contradiction then because that higher knowledge is in my soul, it’s like my soul is my conduit that lives in me. I think that’s the easiest way that I can describe that distinction, it resides in me and I can connect with it tangibly in my body. And when I’m disconnected from it I need to get myself back there. Jess: Through your soul song? That’s the best way of getting back to it? Jess: When you’re not connected with it, then I guess you can really feel it? It’s like an itchiness or restlessness? Ganga: Yes, anxiety in the body. Jess: I didn’t get to ask at any how you and Anthony met. I’m assuming there’s a story there? Ganga: There is actually. We were out with friends in Sydney in the Northern Beaches. A friend of mine invited me out, so when we were at The Steyne, a Manly pub. The friend that I was out with and her friend, so three girls, had gone to school with the friend that Anthony was out with. They started chatting and we were like shags on a rock. So I just said to him, “So what do you do?” Being polite. He said, “I’m an architect, but it’s not what I’m passionate about.” I said, “That’s interesting, I’m a teacher, but that’s not what I’m passionate about. So what are you passionate about?” And it was spirituality. And we just clicked and we just got talking about that. Anthony says of The Steyne and about our meeting, “You meet angels in dark places.” So there’s always been willingness between us to do the work that is required to grow. Jess: That’s beautiful. Thanks so much, Ganga!